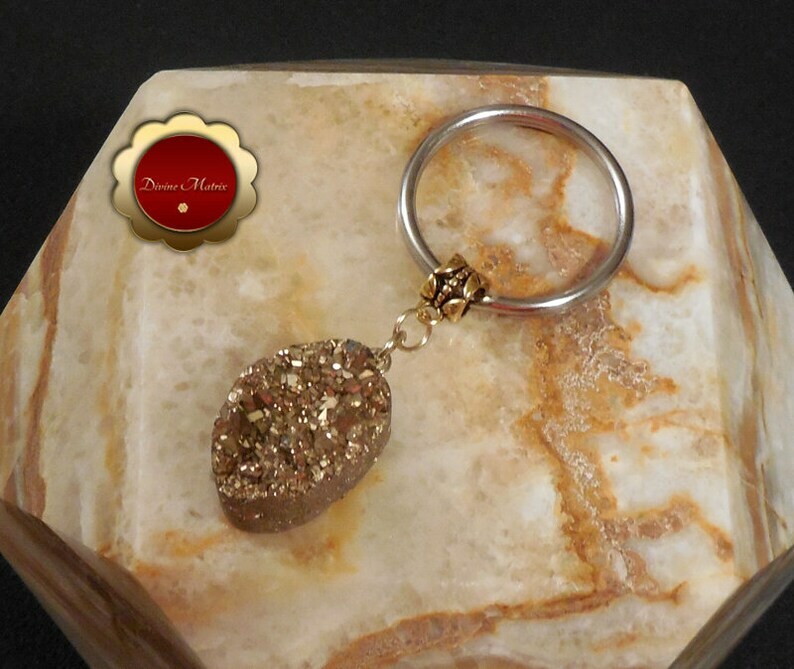 This is a gold crystal druzy keychain. This is a gorgeous druzy that would adorn your keychain and soak in the energetic energy from the crystal and help raise your vibration. This keychain would make a nice gift for someone special. The key ring is a nice 32mm in size. Brass and rock crystal druzy. Nickel and lead free. This is the exact one you will get, a nice chunky piece.